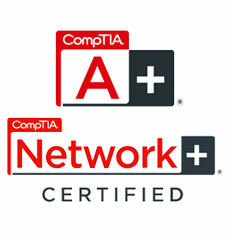 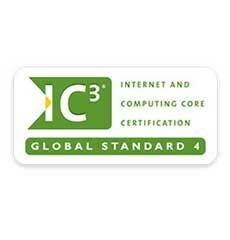 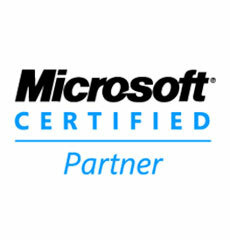 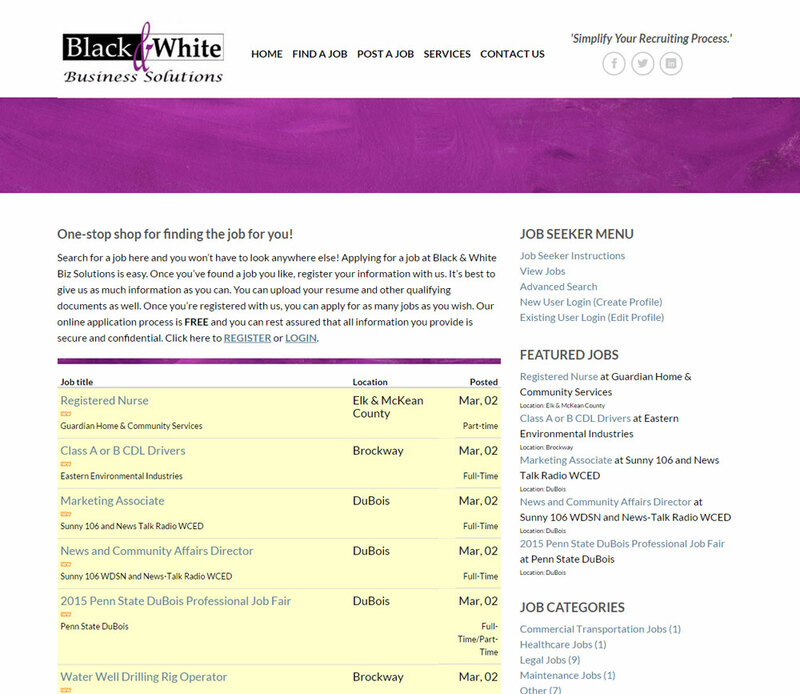 TechReady Professionals is proud to showcase our team’s portfolio with several examples of featured work. 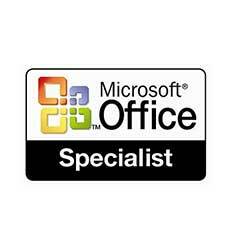 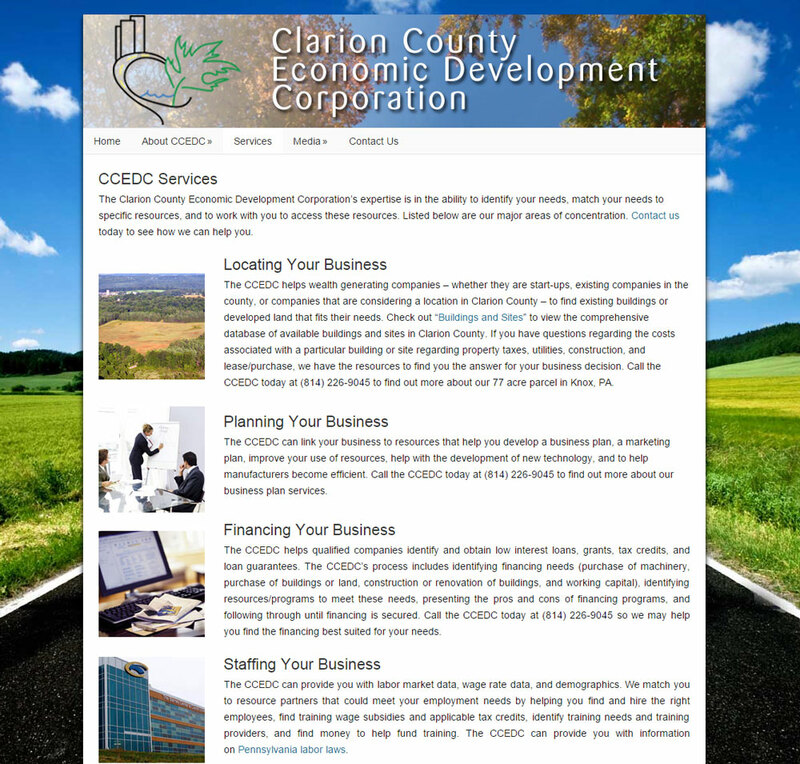 Click on any project below to learn more about the client and the services we provided. 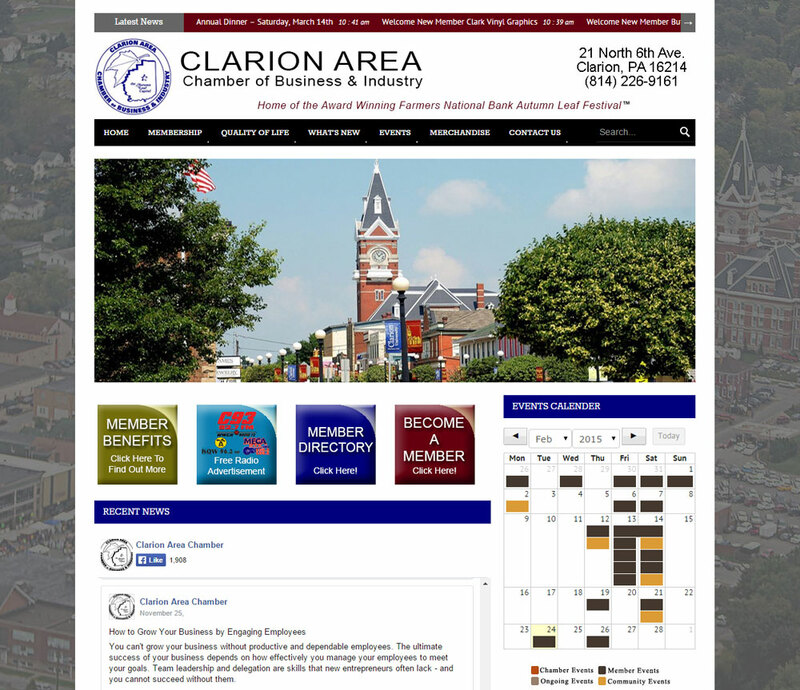 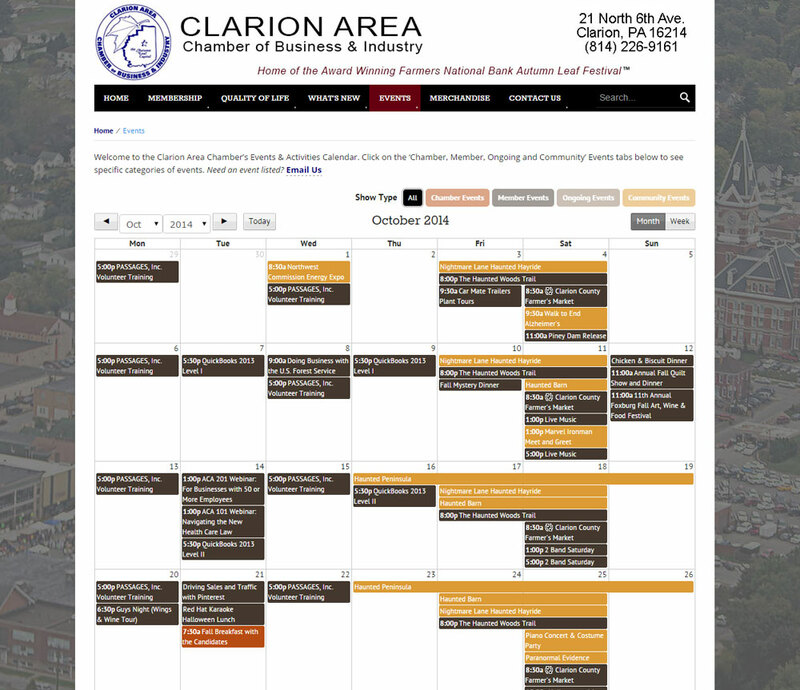 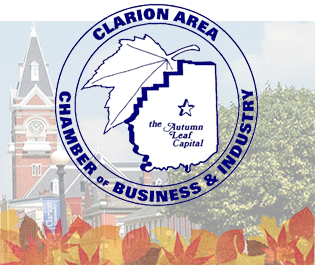 The Clarion Area Chamber of Business & Industry is home of the award-winning Farmers National Bank Autumn Leaf Festival. 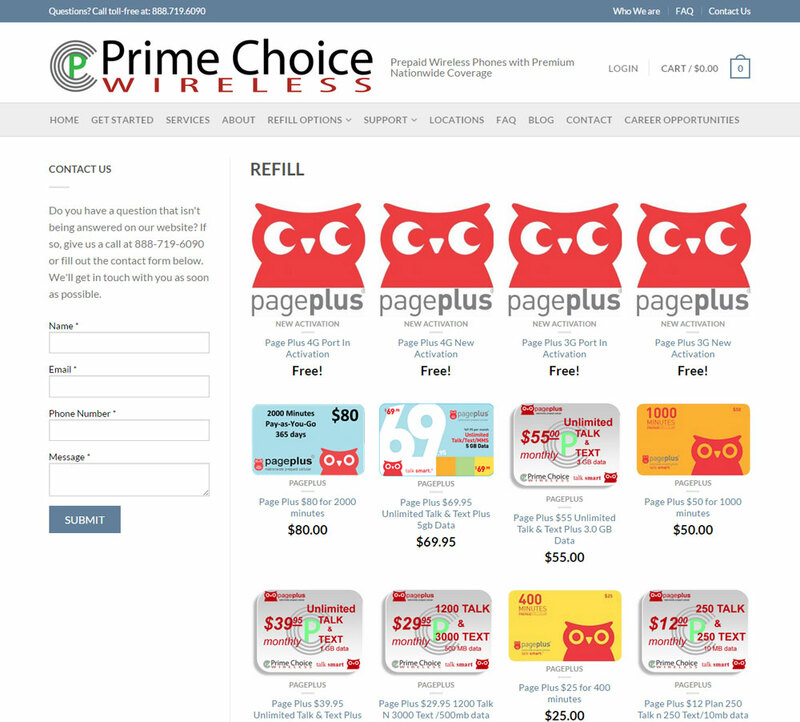 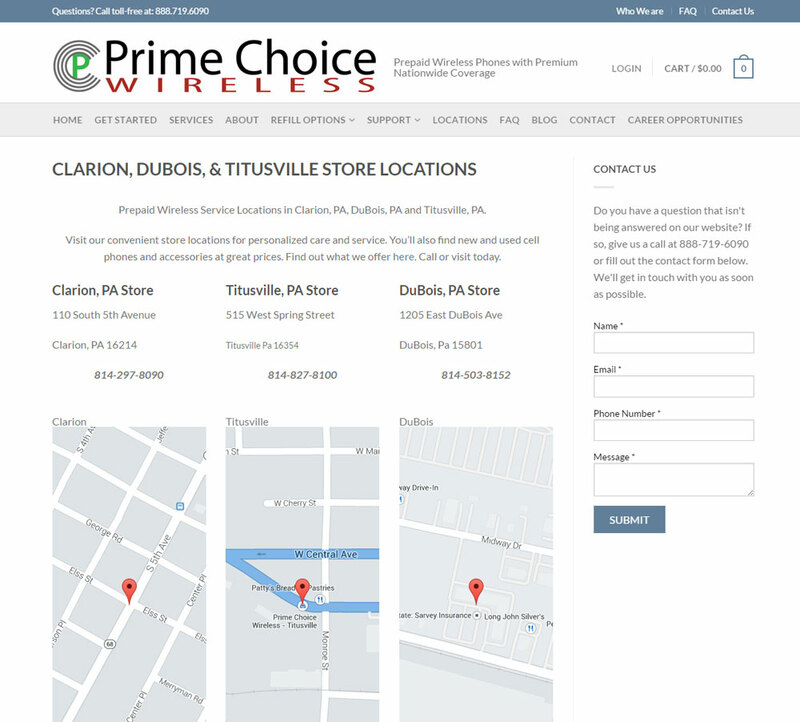 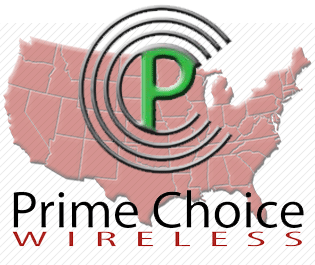 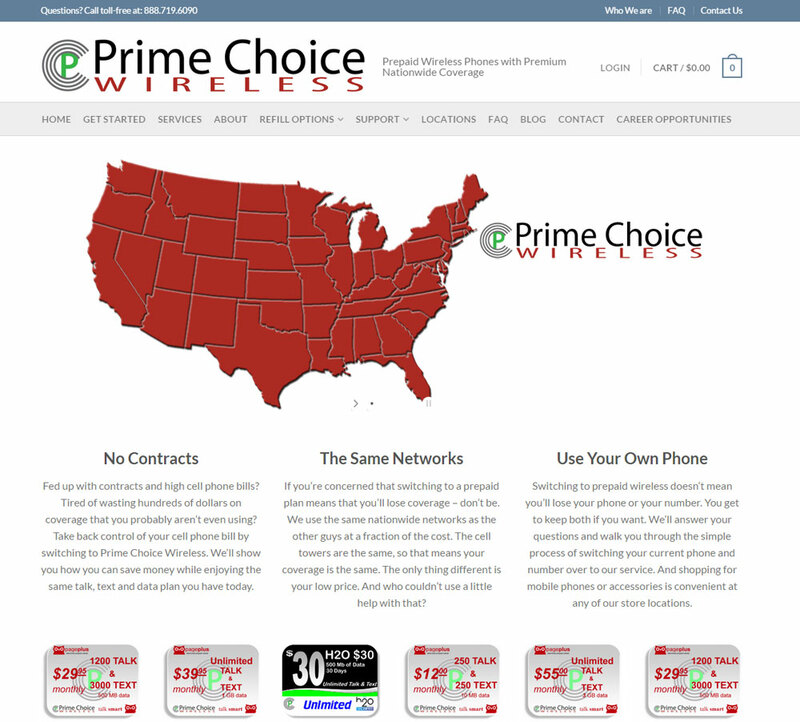 Prime Choice Wireless is one of the nations leading providers of prepaid wireless phones with premium nationwide coverage. 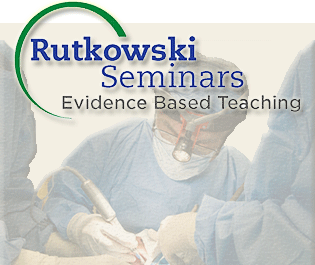 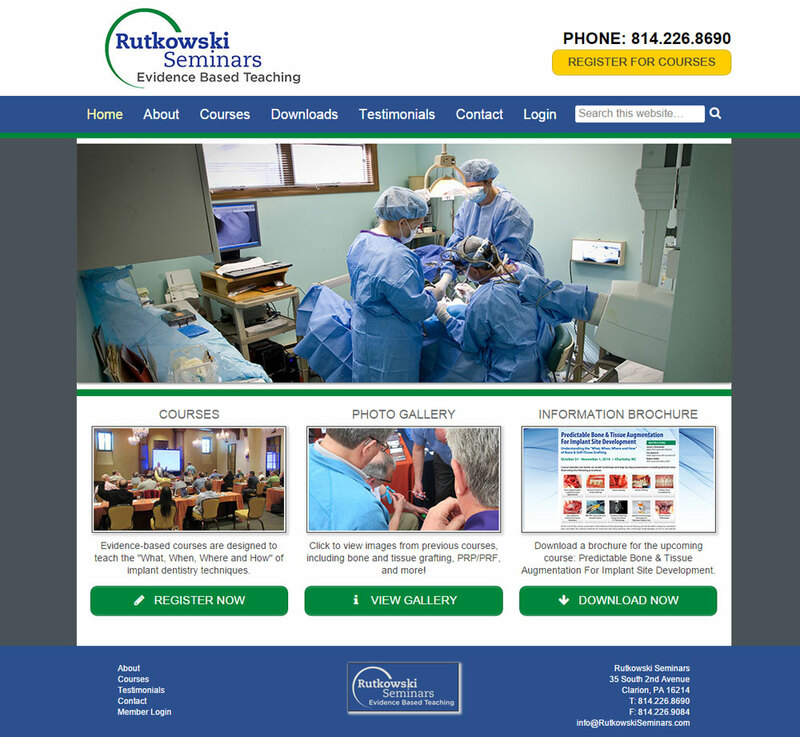 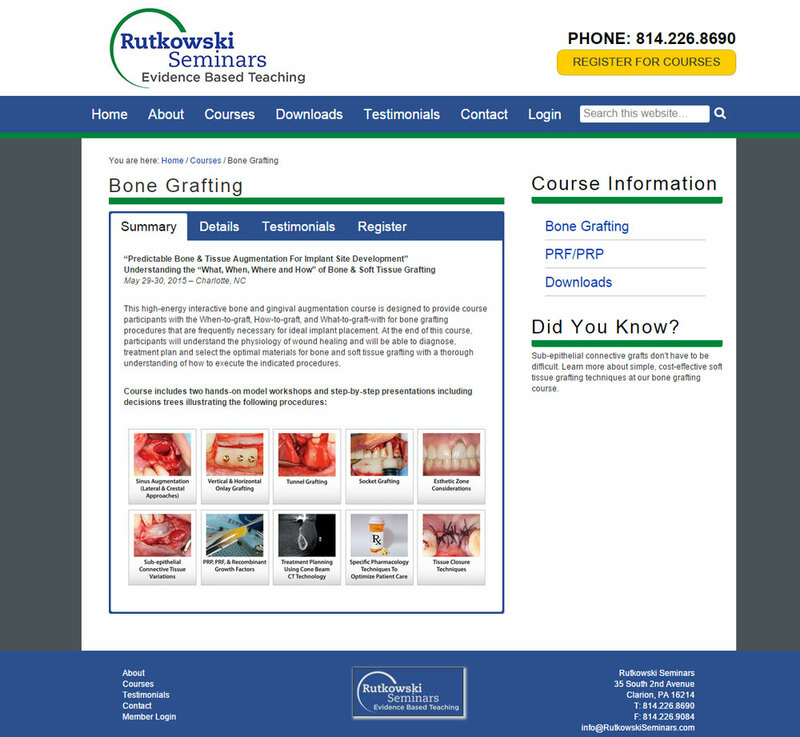 Rutkowski Seminars provides cutting edge medical and dental research, and delivers it to clinicians in such a way that it can be easily implemented into their practices to achieve better clinical outcomes. 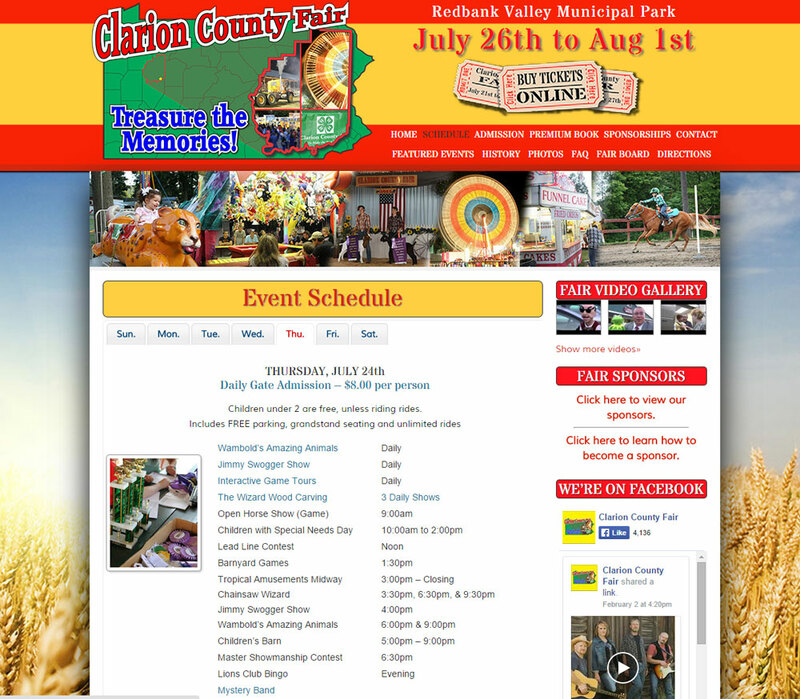 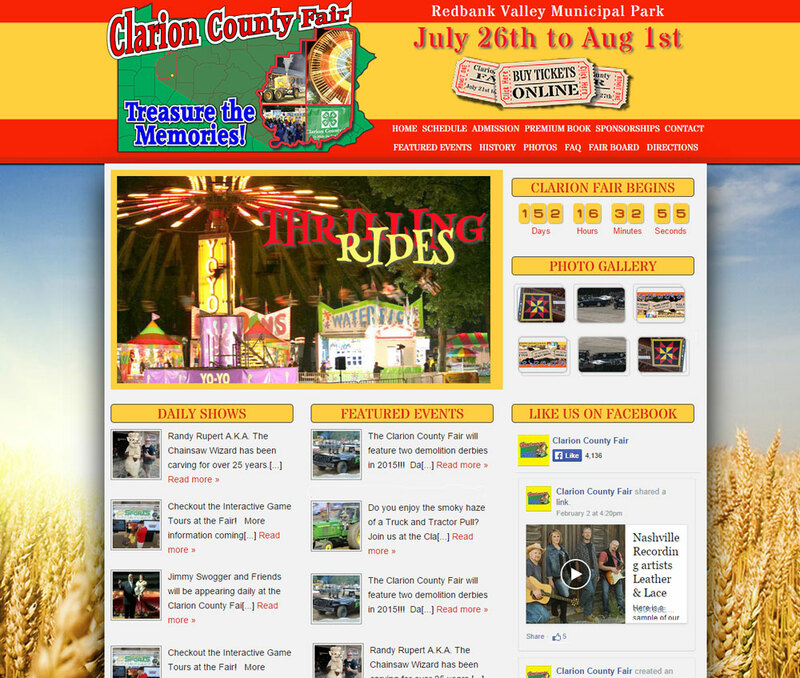 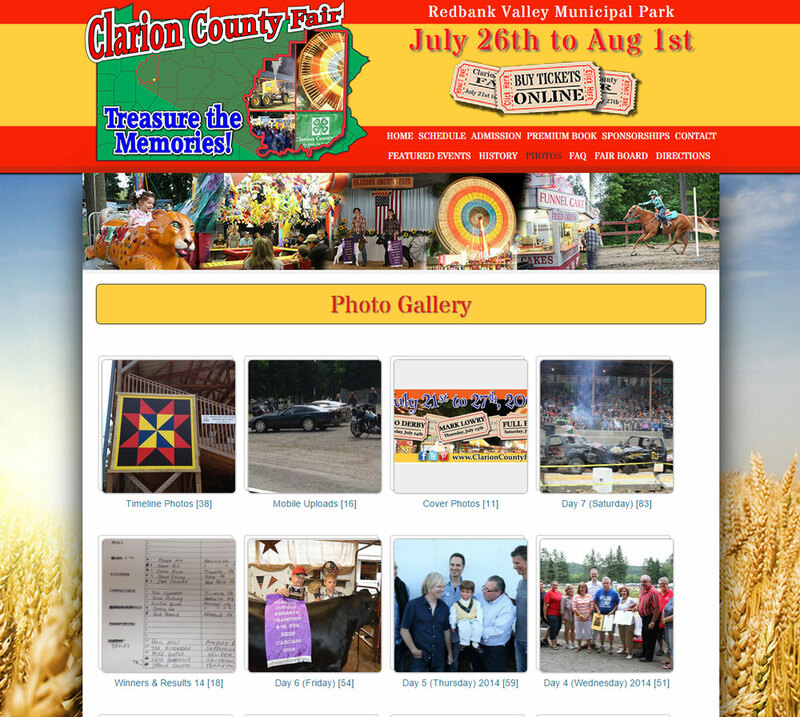 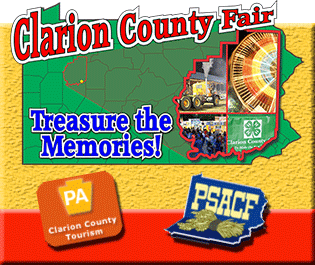 The Clarion County Fair includes a variety of fun and entertainment for the whole family! 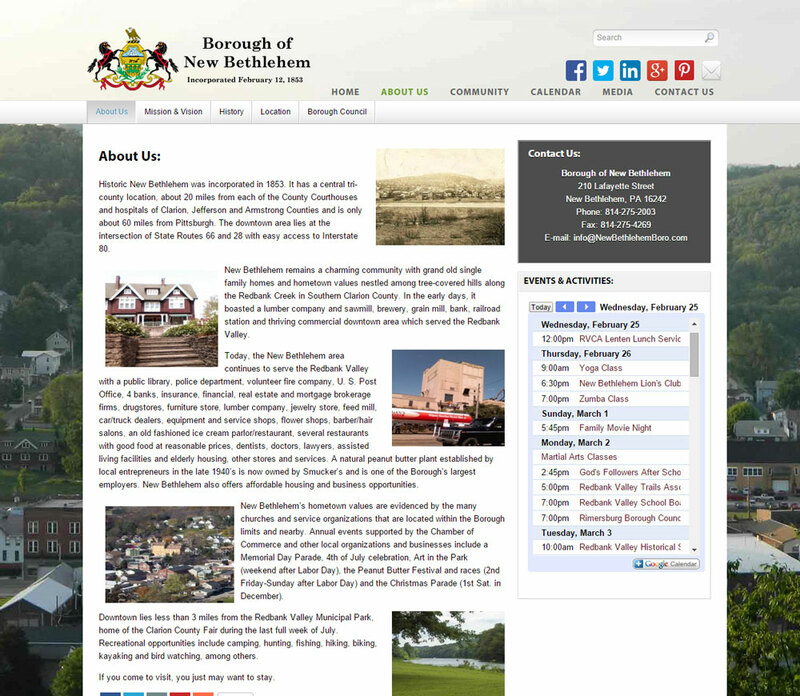 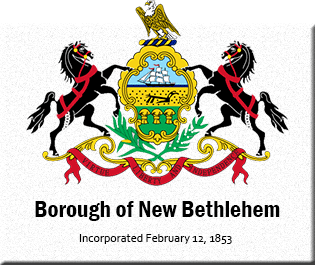 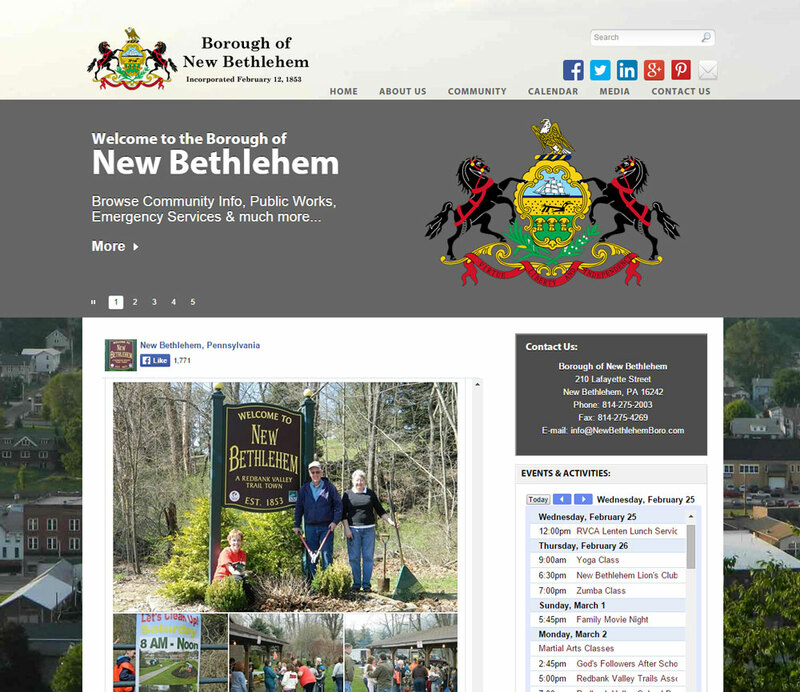 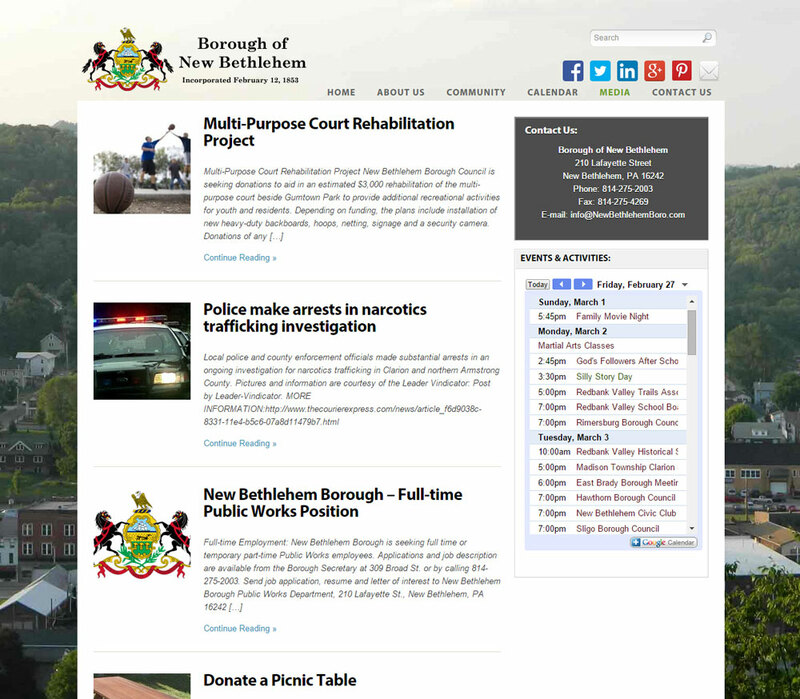 New Bethlehem Borough Council fosters business, community, and personal growth within the borough while maintaining the small town appeal and family friendly environment that makes New Bethlehem such a great place to work, live and raise a family. 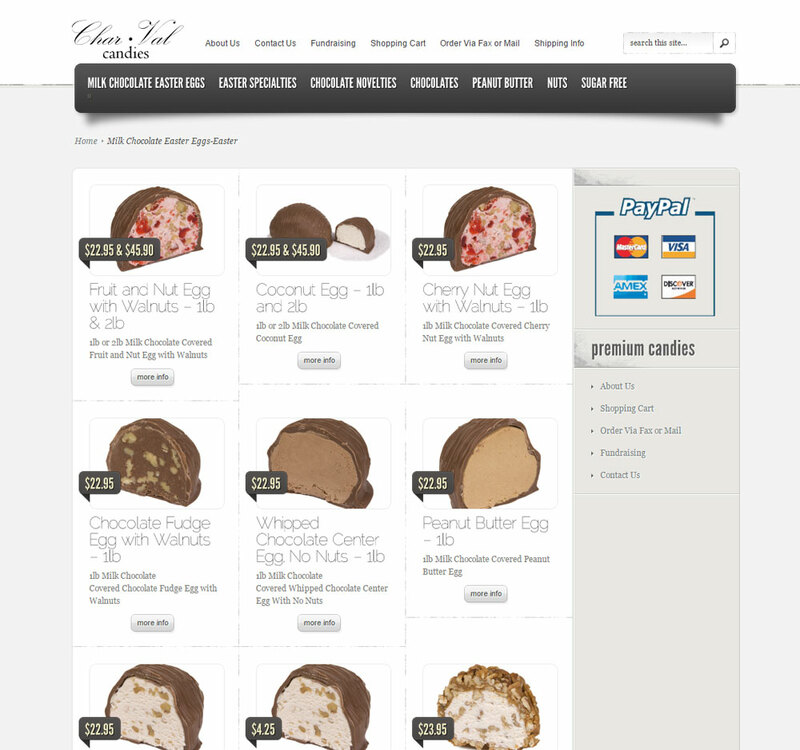 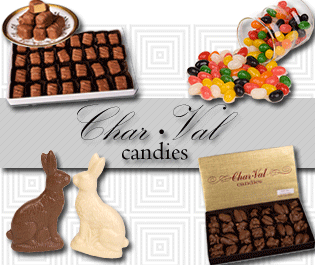 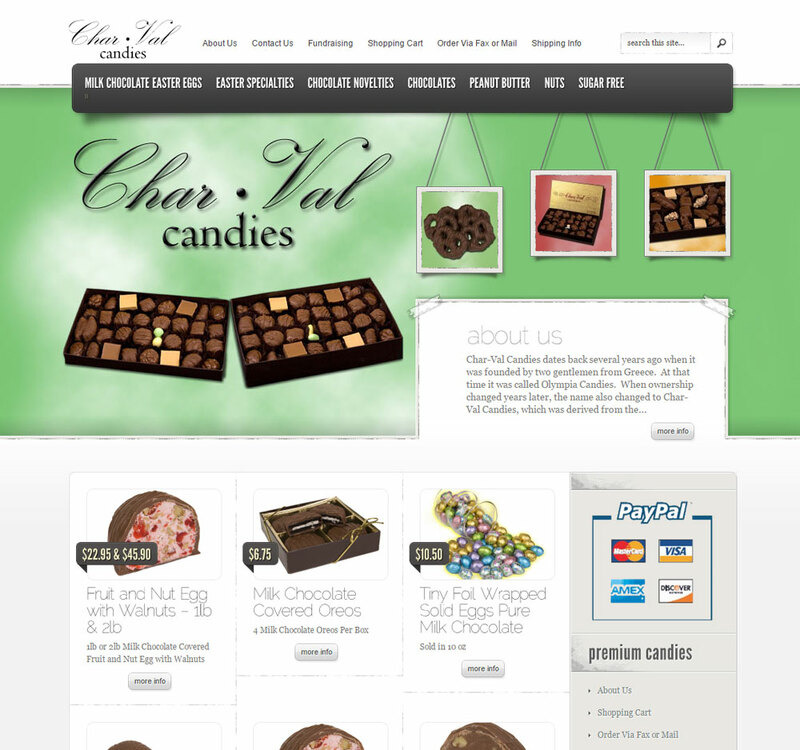 Char-Val Candies is one of Western Pennsylvania’s premium candy and luxury chocolate stores with original recipes and the highest quality ingredients. 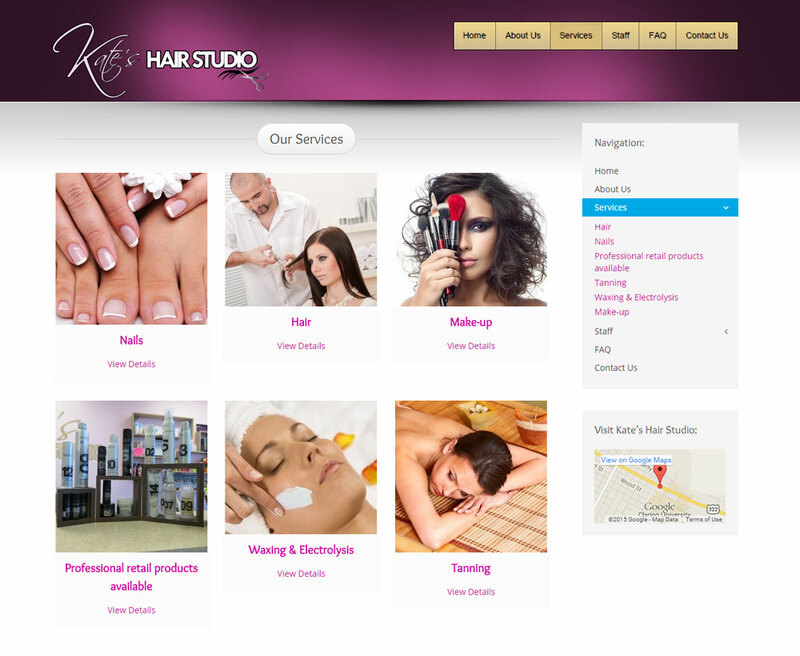 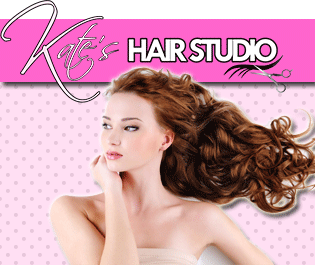 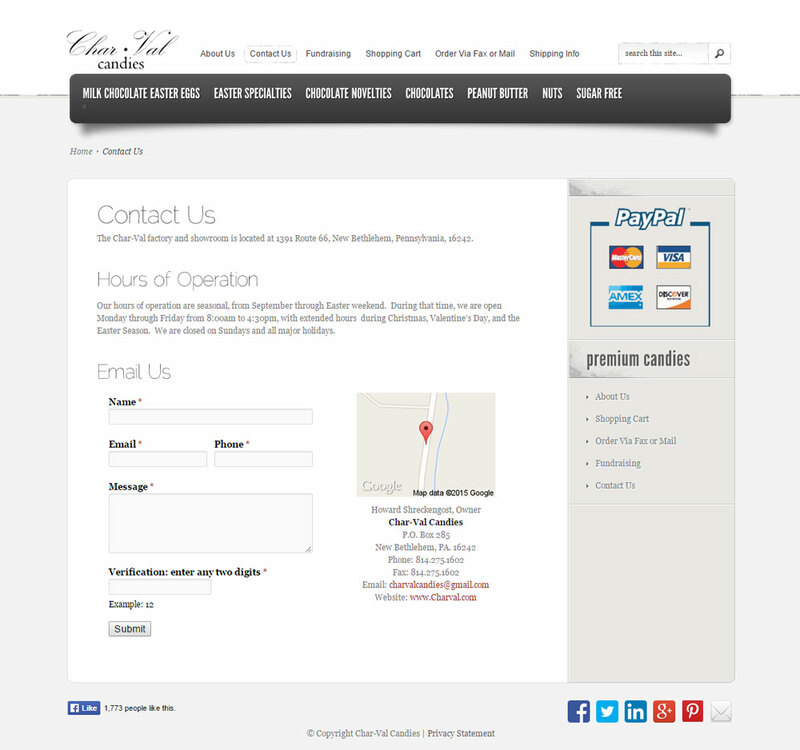 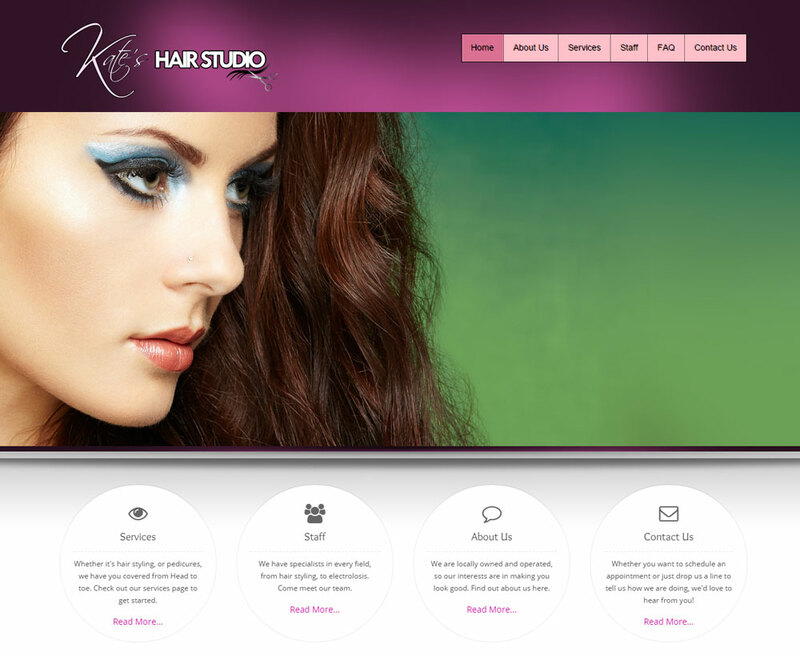 Kate’s Hair Studio is Clarion PA’s leading premier full-service hair and nail salon. 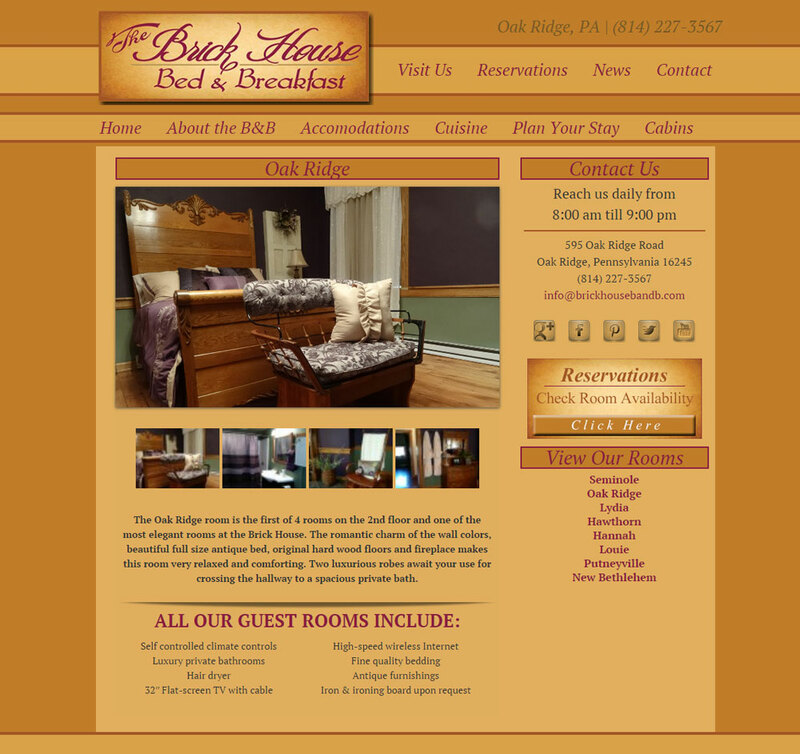 Owned and operated by Mother and Daughter, Barbie Raybuck and Kate Wolbert. 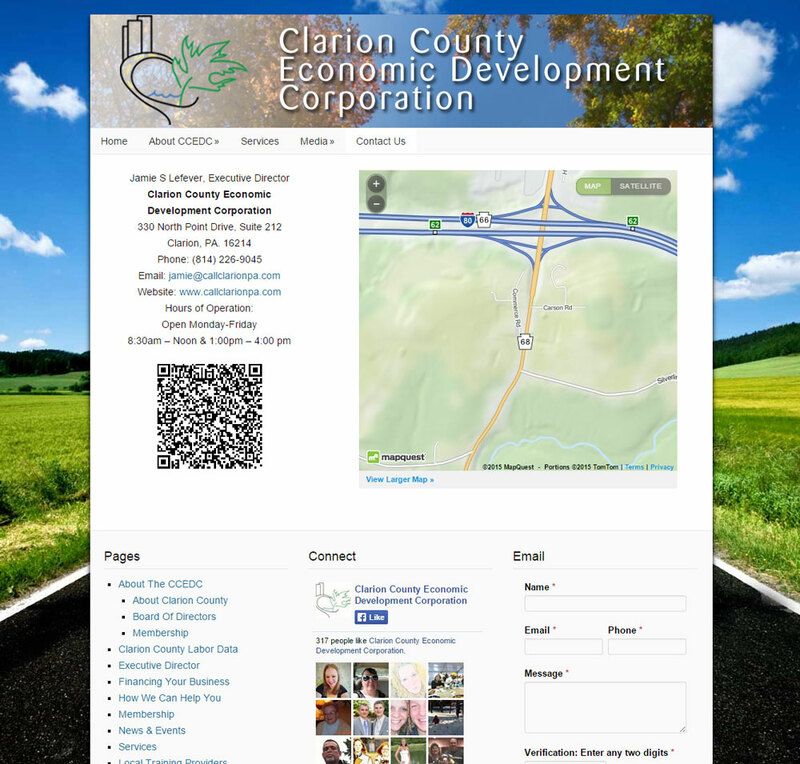 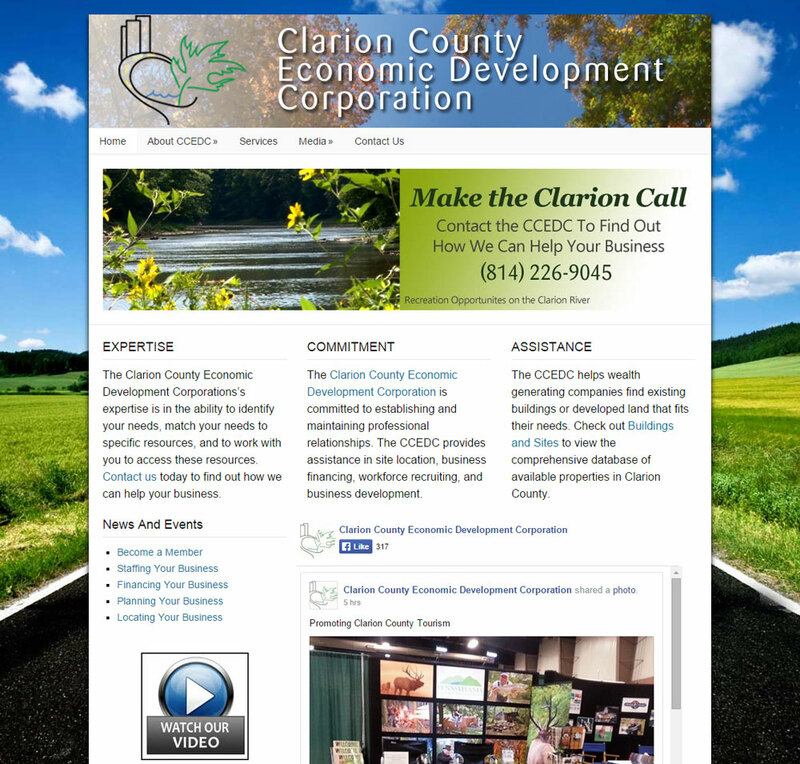 Clarion County Economic Development Corp. 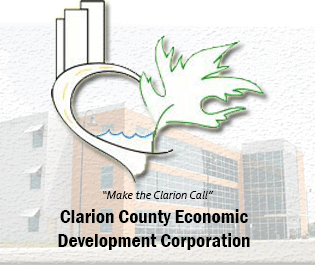 The Clarion County Economic Development Corporation’s mission has been to work with existing and prospective wealth generating companies to create and keep family sustaining jobs in Clarion County. 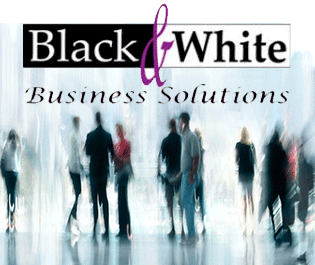 Black & White Business Solutions is one of central PA’s leading job boards with online job advertising services for employers and job seekers. 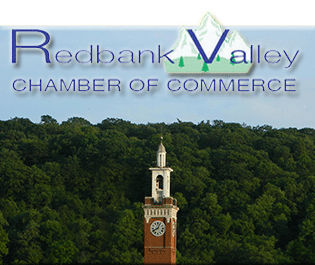 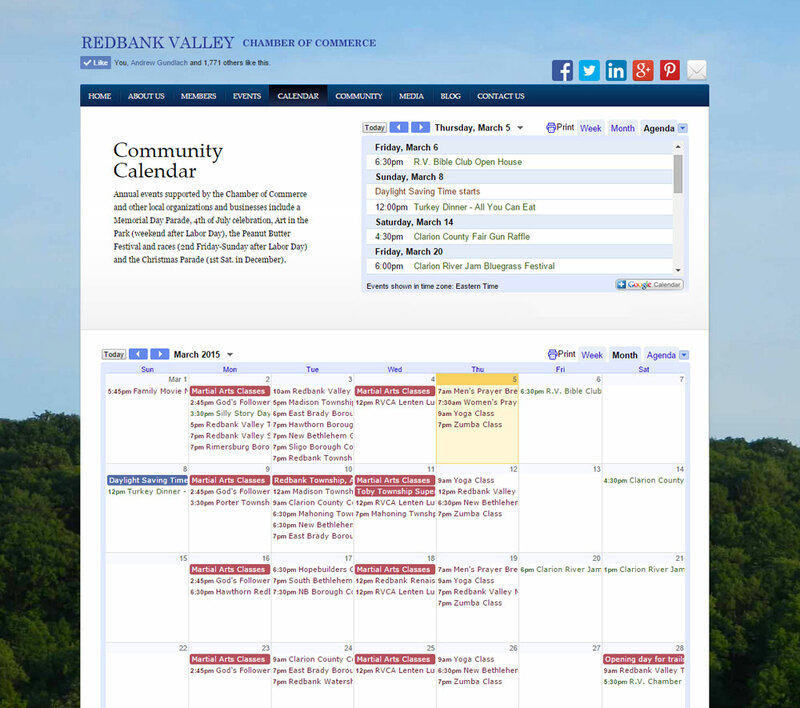 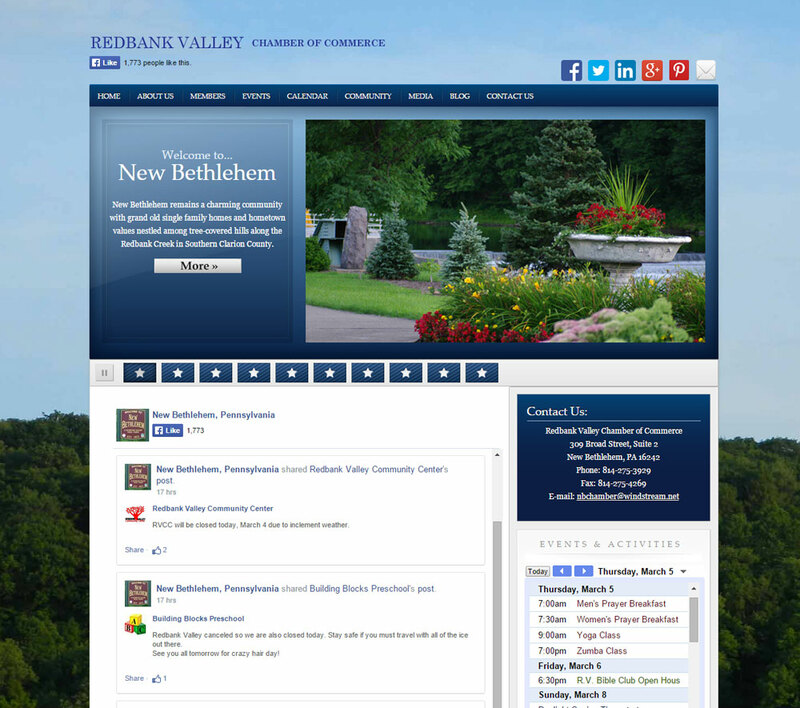 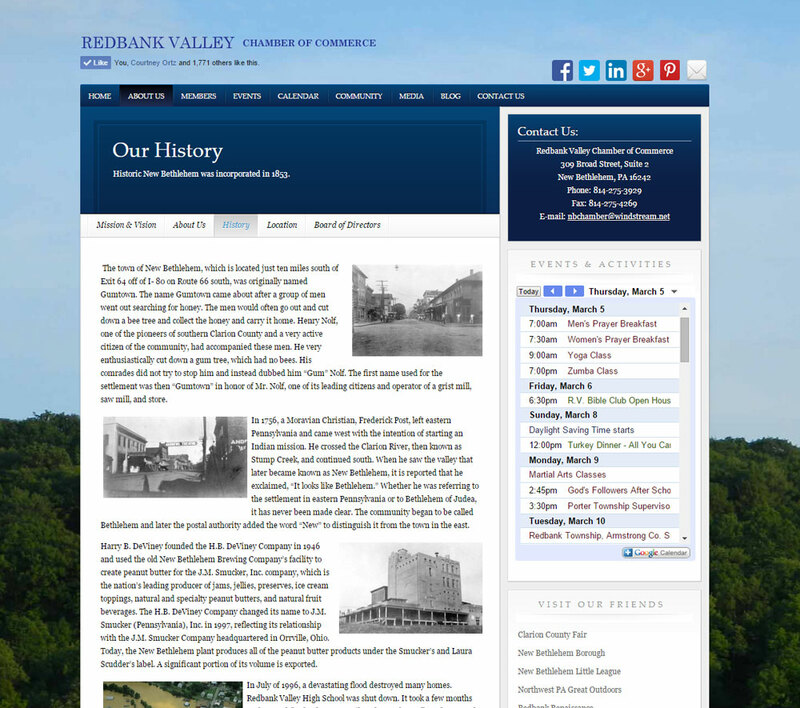 The Redbank Valley Chamber of Commerce is the leading force for economic vitality in the New Bethlehem Area & surrounding communities. 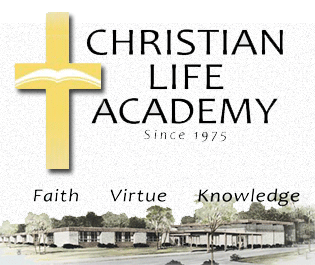 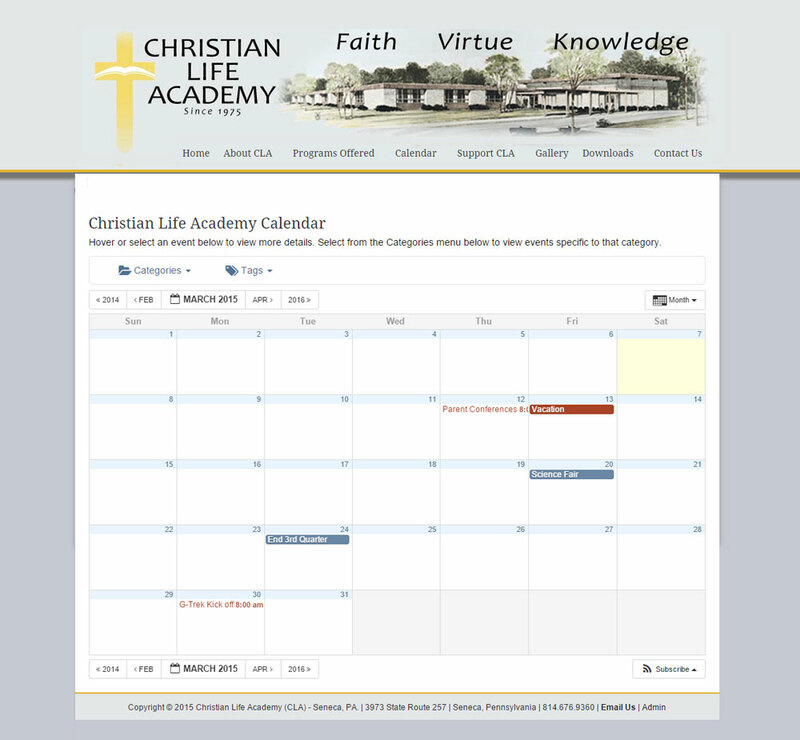 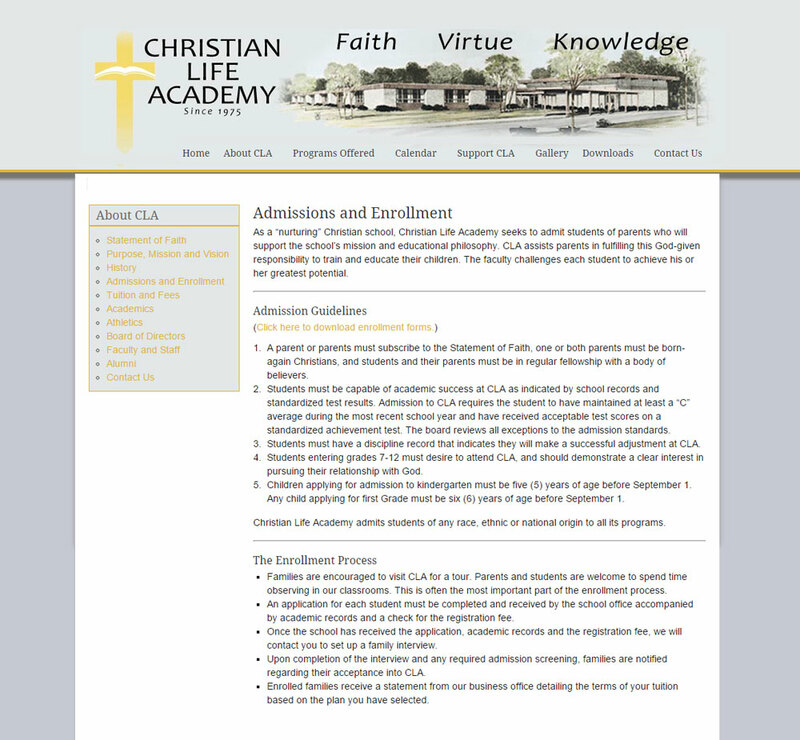 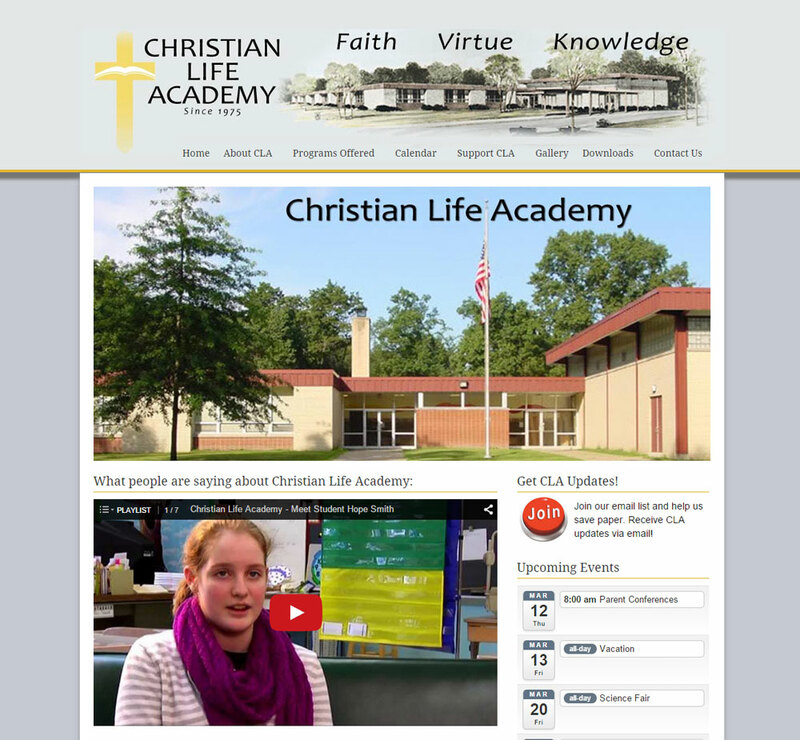 Christian Life Academy is a private Christian school offering classes for pre-kindergarten through twelfth grade. 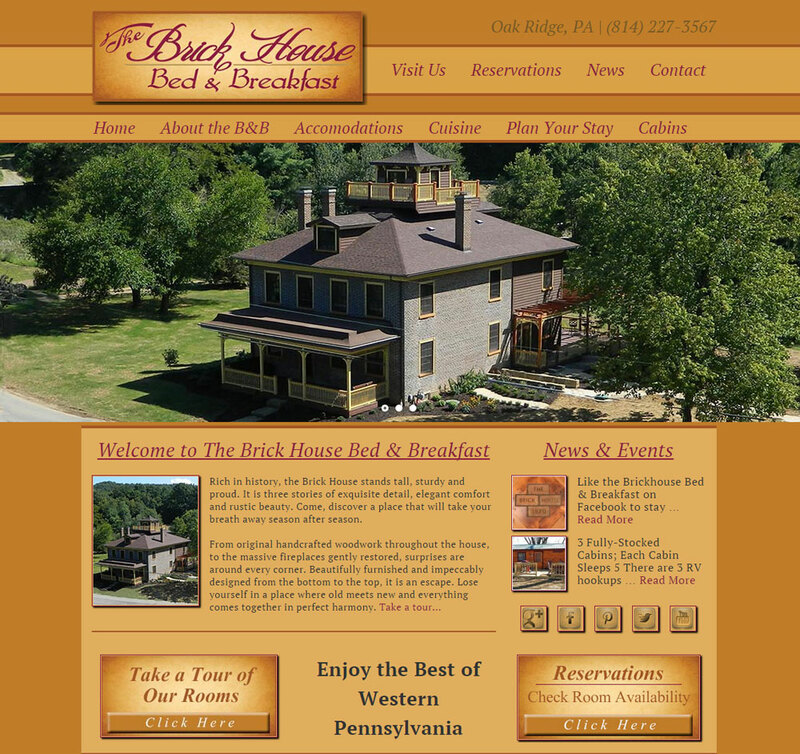 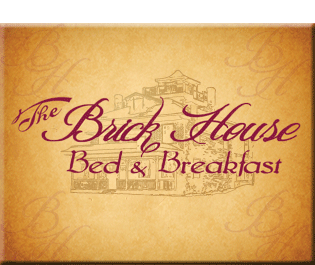 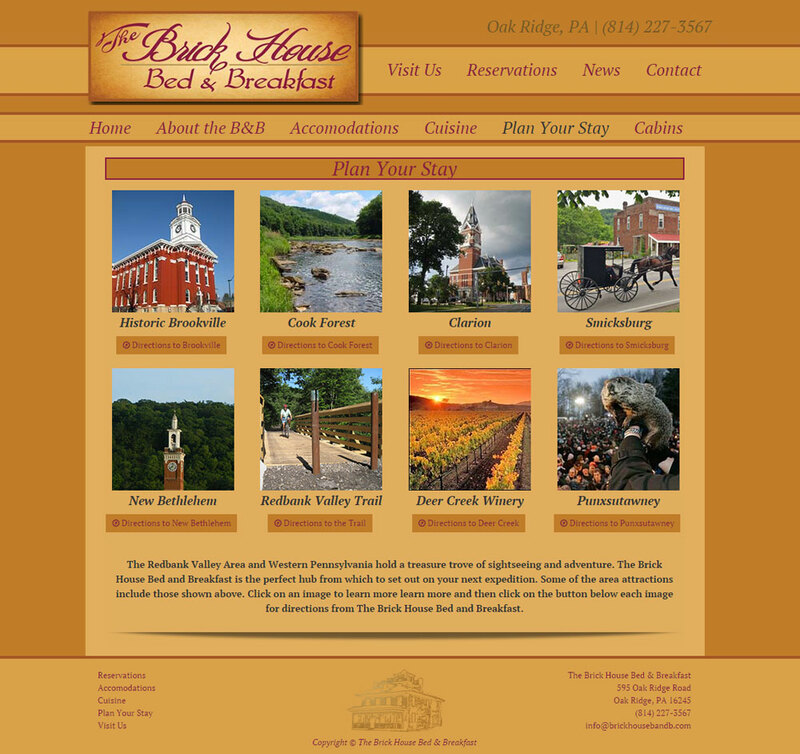 The historic 1820 Brickhouse Bed & Breakfast is located in Oak Ridge Pennsylvania, just one hour north of Pittsburgh. 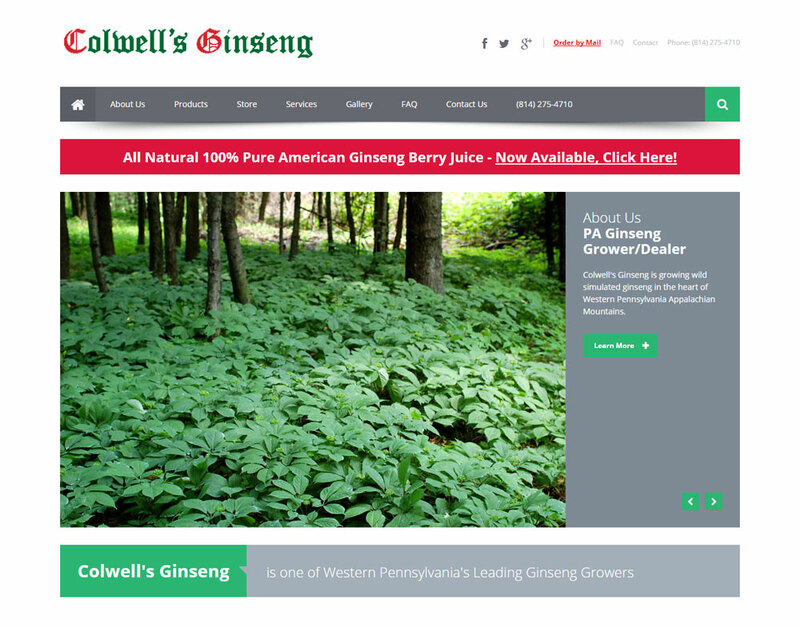 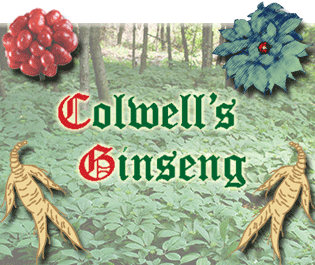 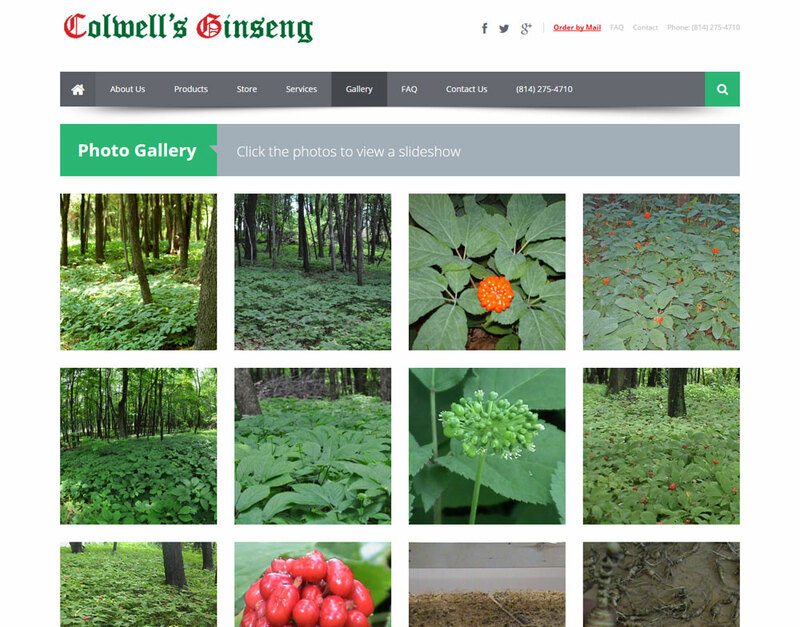 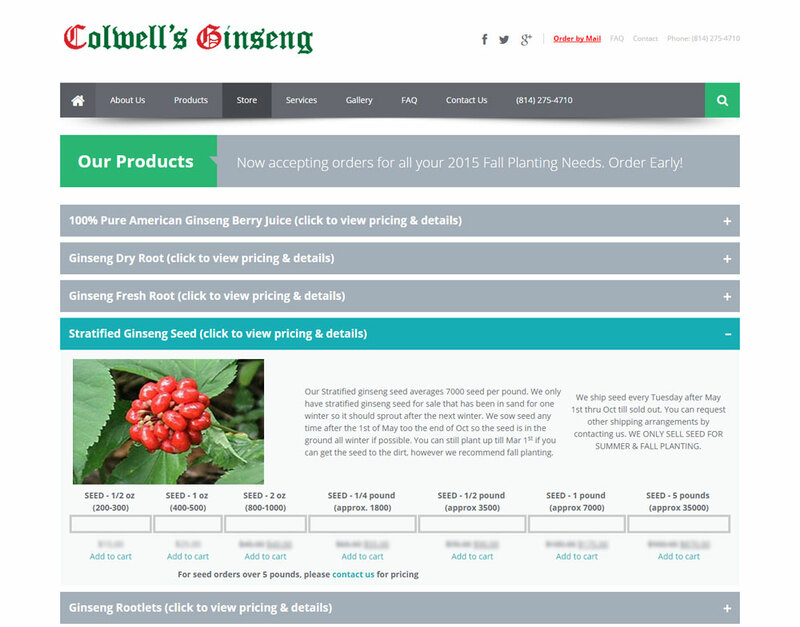 Denny Colwell is the owner of Colwell’s Ginseng, one of the leading growers of wild simulated ginseng in the heart of Western Pennsylvania Appalachian Mountains. 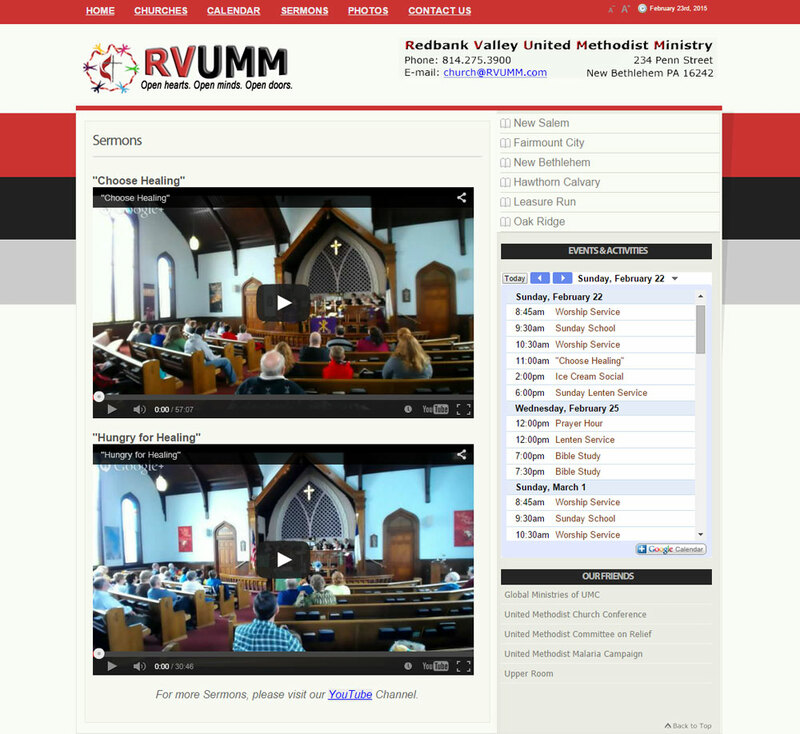 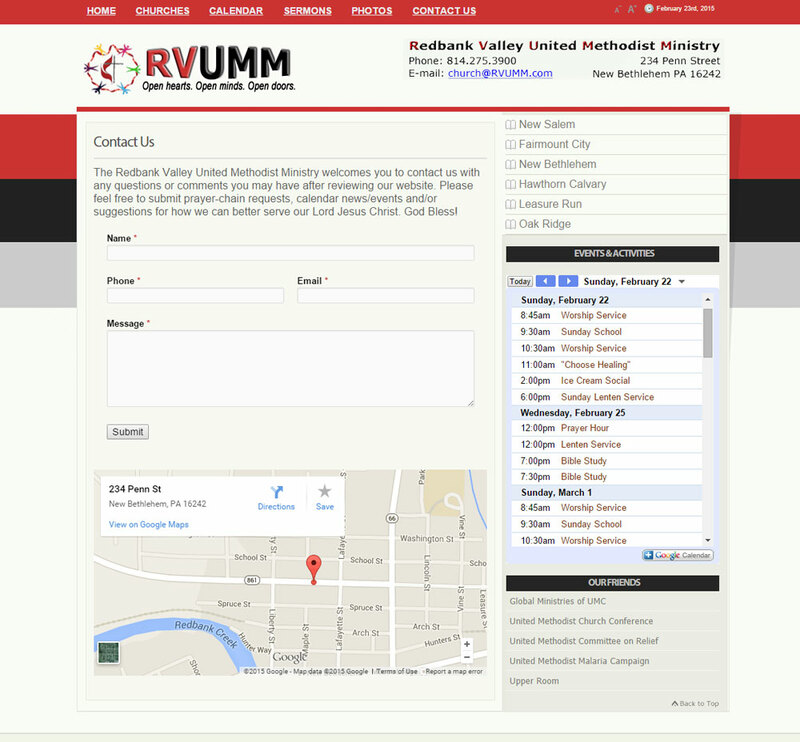 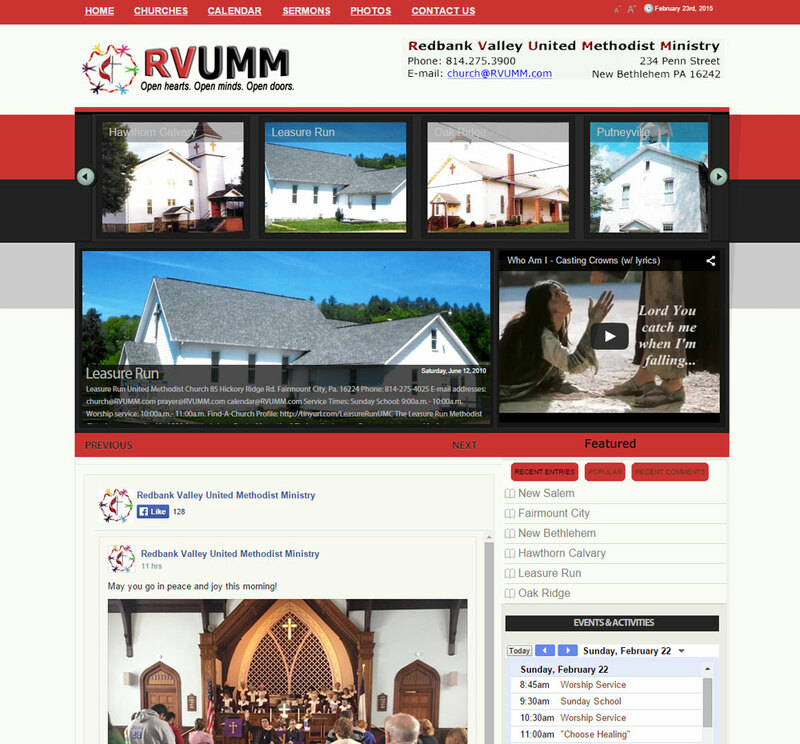 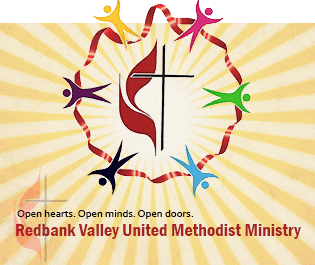 The Redbank Valley United Methodist Ministry is a cooperative of United Methodist Churches who have joined together in worshiping our Lord Jesus Christ. 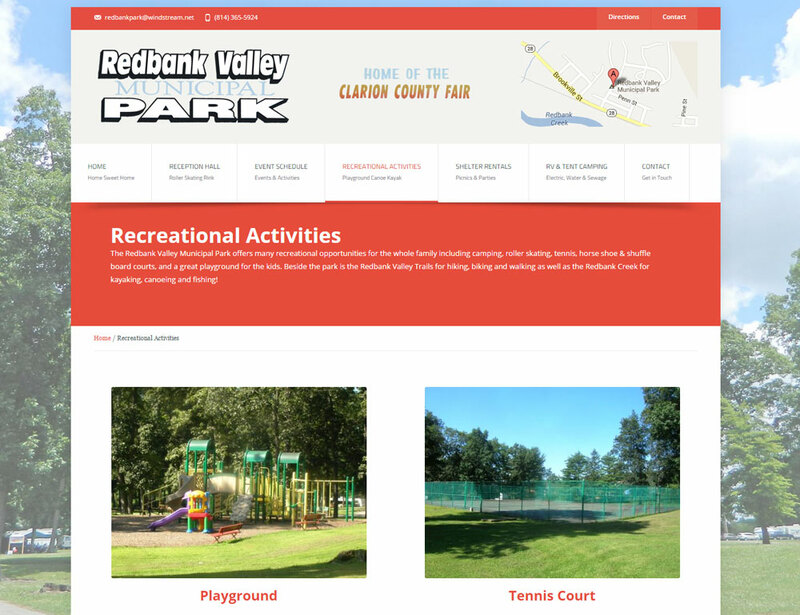 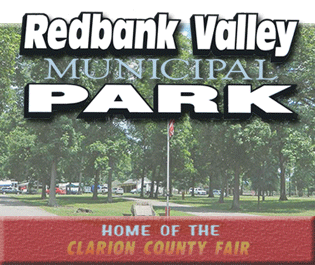 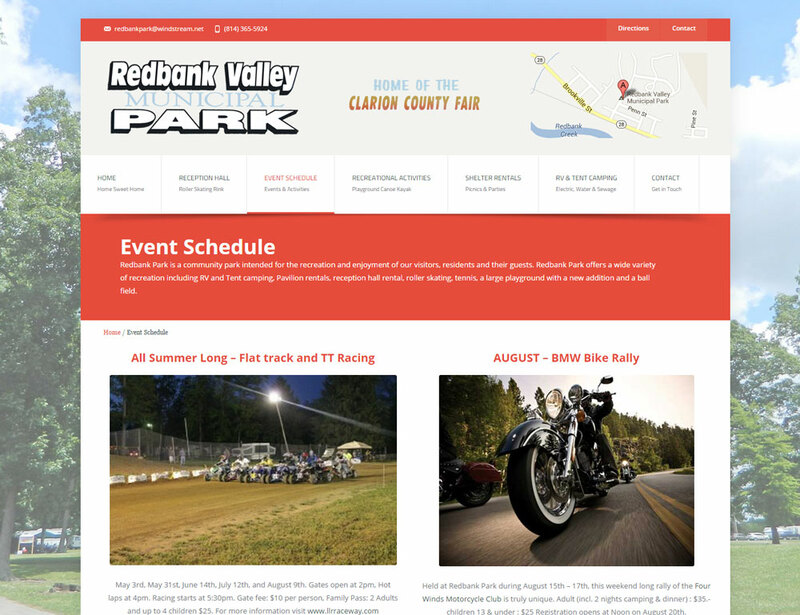 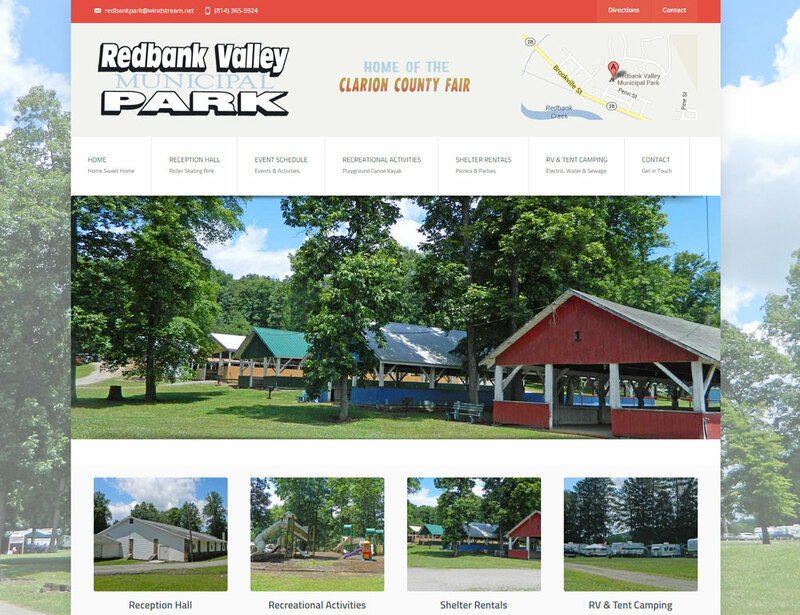 Redbank Valley Municipal Park is located in beautiful Clarion County Pennsylvania, just 2.8 miles north of New Bethlehem on Route 28. 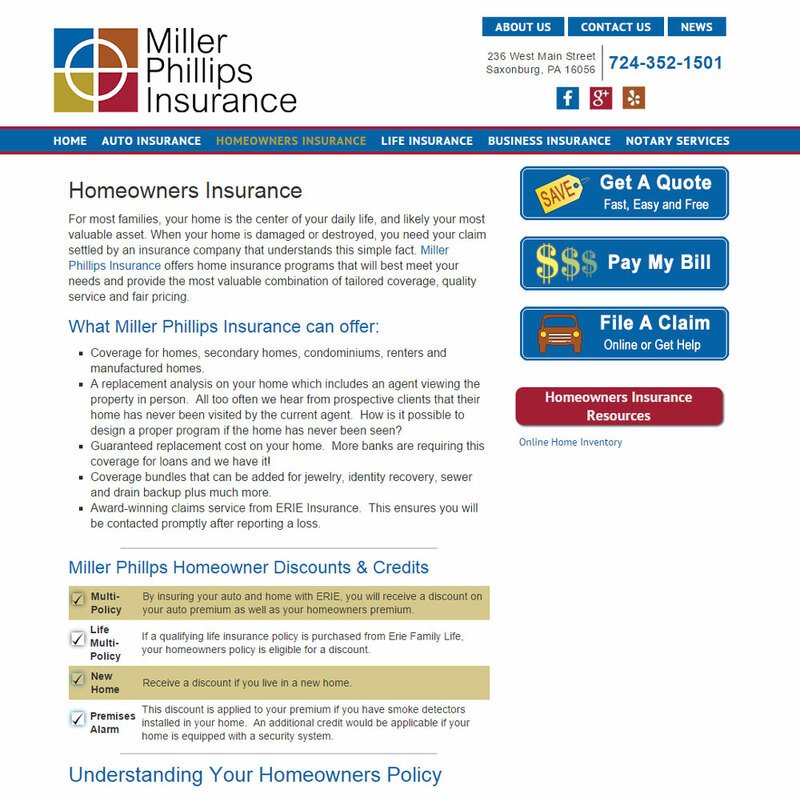 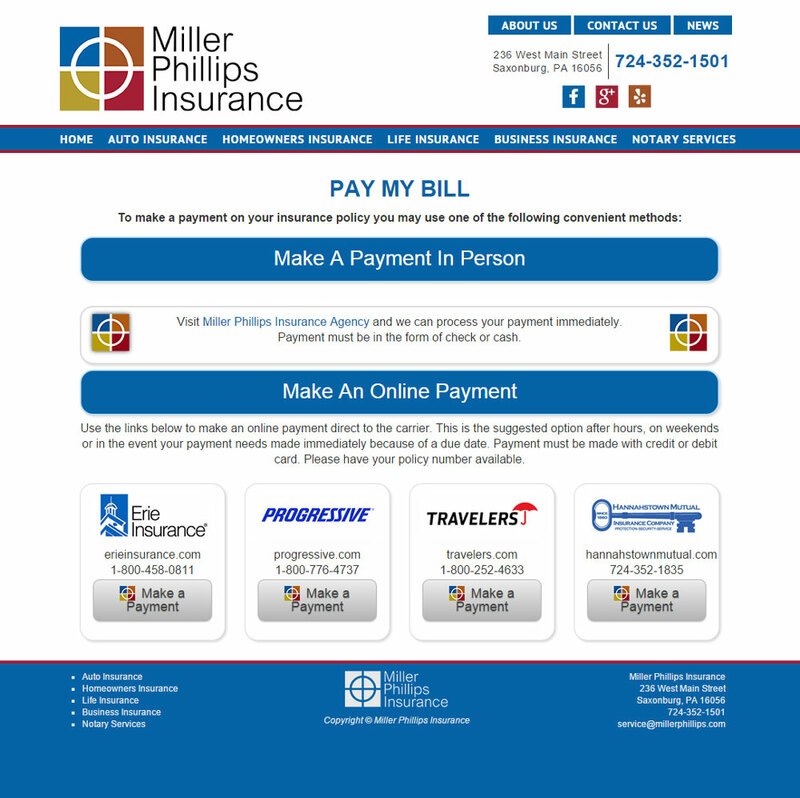 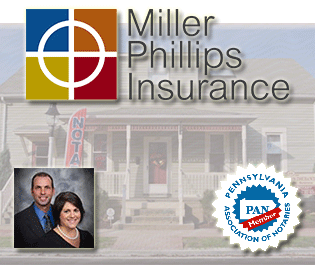 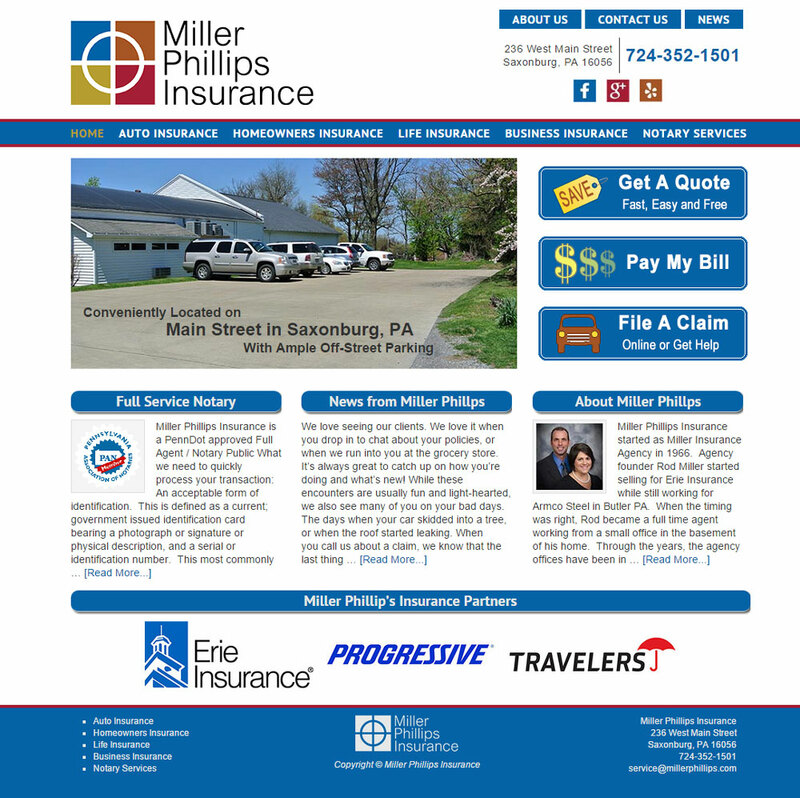 Miller Phillips Insurance is Butler County, Saxonburg PA’s leading full-service Insurance agency, offering Life, Home, Auto Business and Notary services. 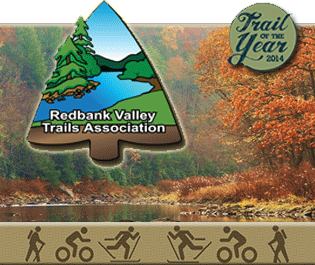 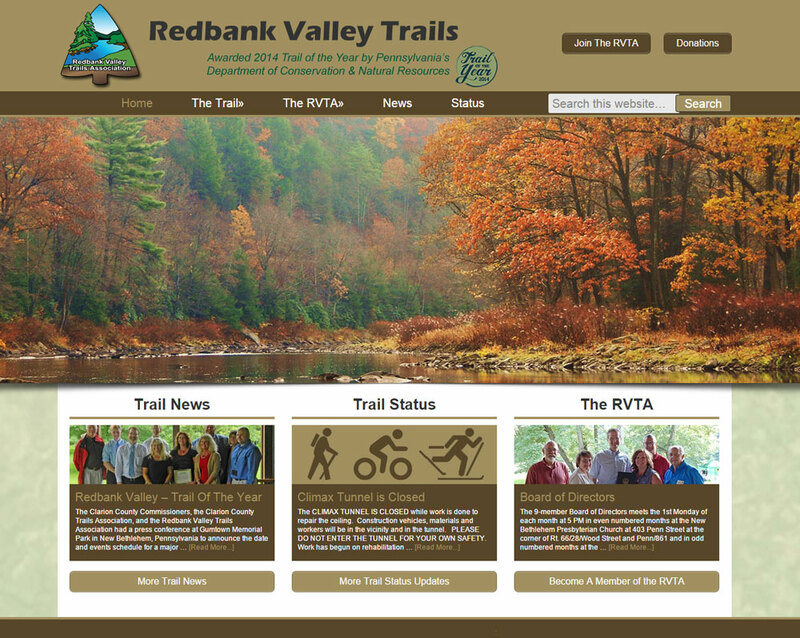 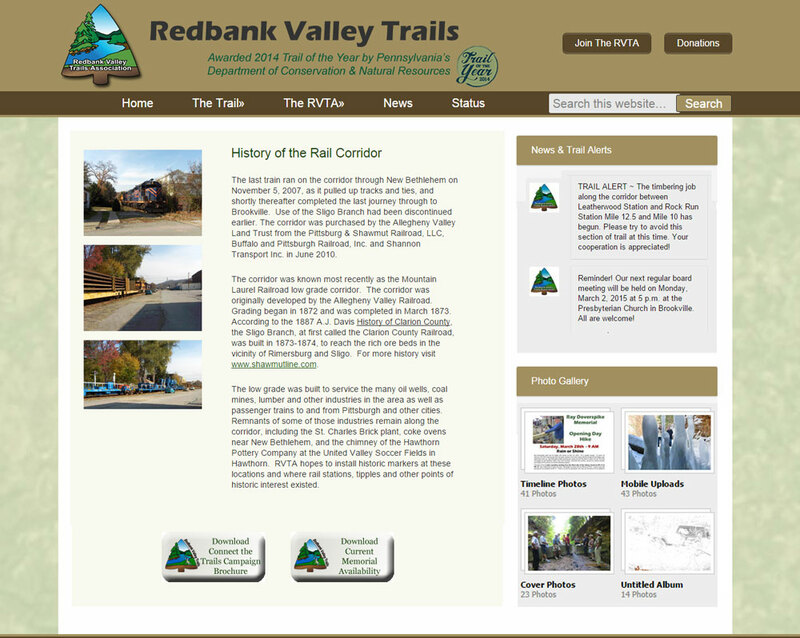 Redbank Valley Trails is a 51-mile non-motorized, 4-season trail. 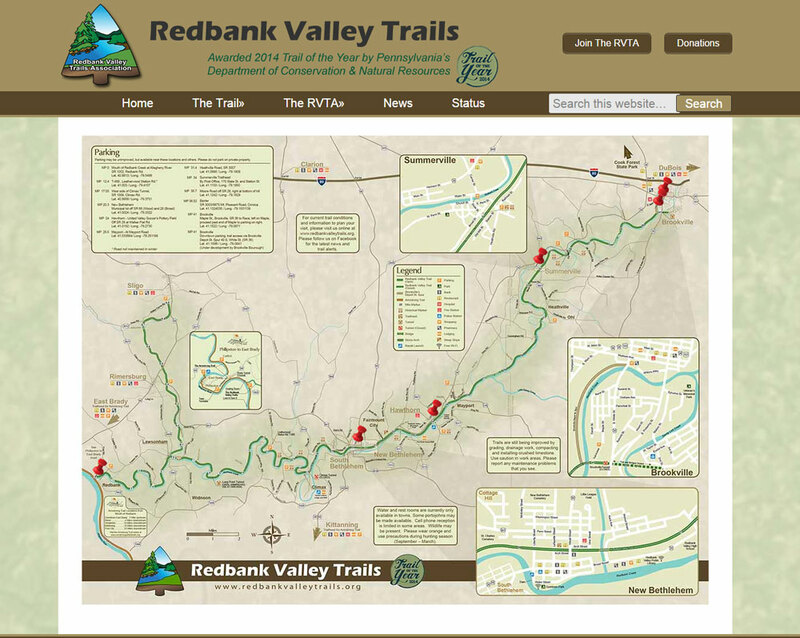 42 miles of the trail run parallel along the scenic Redbank Creek through mostly natural areas. 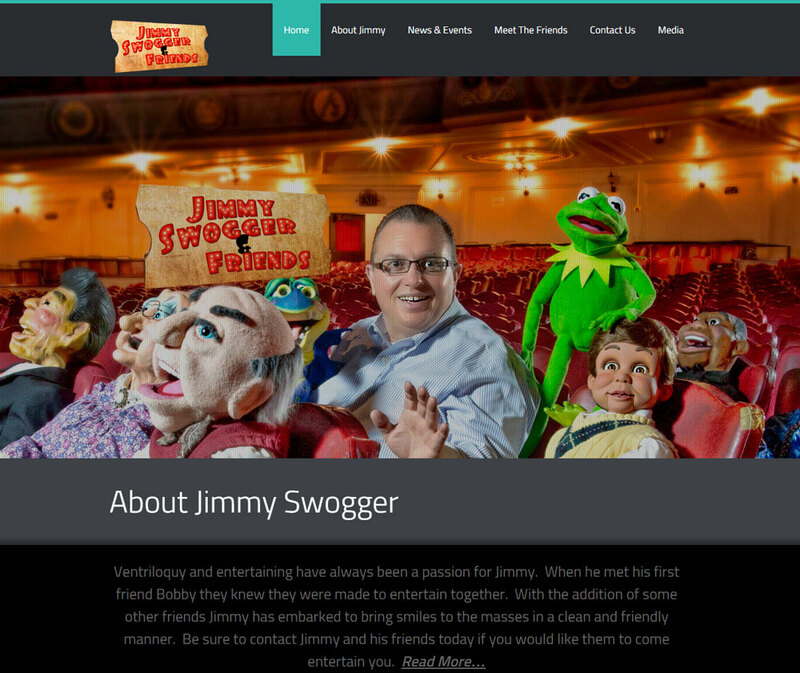 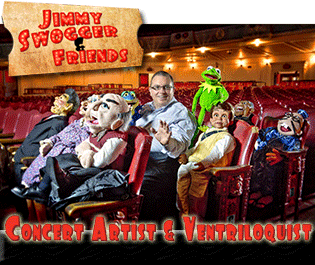 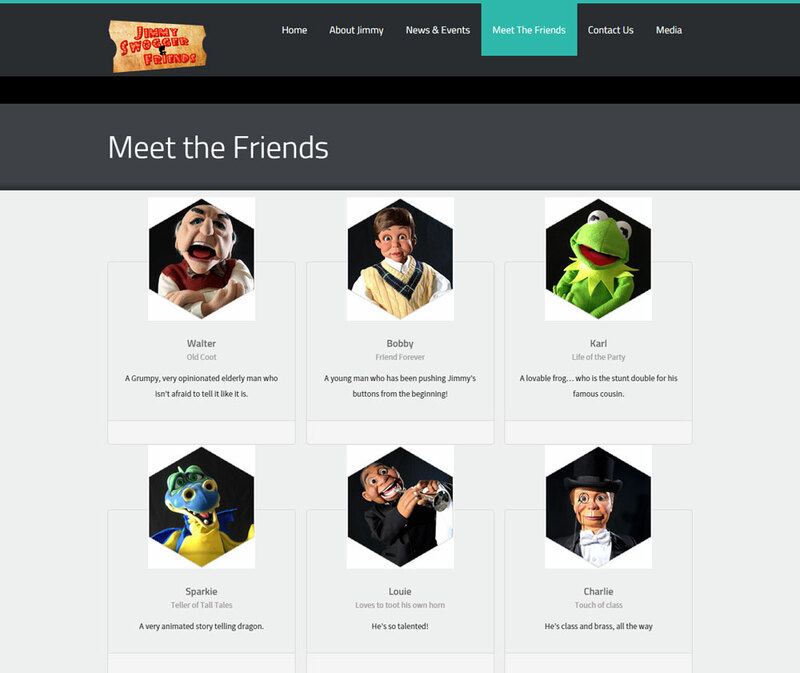 Jimmy Swogger is a Concert Artist & Ventriloquist traveling around the world, bringing joy, laughter and entertainment to his audiences.